The Hotel Woodside business class is a peaceful place to stay and relax. With an ever smiling cordial front office staff at your service day and night, an ambience creating a sense of peace and serenity you will experience a feeling of calm and relaxation as soon as you step into the lobby of Woodside. The hotel has been built to blend luxury and comfort guaranteeing that the customer gets the best service available. With tourist spots surrounding it you do not have to embark on long distance travelling, the airport is just 16Km away from the hotel while the distance from the Mangalore railway station is just 1 Km (approx.) making it a perfect spot for both international and regional customers. 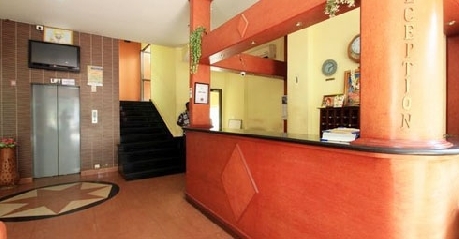 The hotel’s motto is to offer stress free stay to its customers and provides amenities such as Parking, travel desk, twenty four hour check-in/checkout. There is a leisure room for the customers to play a game of pool or billiards. 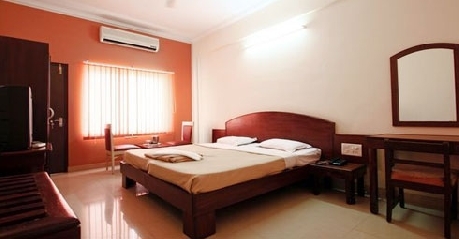 The hotel provides 10 Non Ac rooms that fit into your budget nevertheless offering a serene ambience and all the modern convenience that you richly deserve. The well-furnished room comes with Television, Telephone and a 24 hour room service, making certain that all your needs are met to your satisfaction and contentment. There are ten such Silver rooms available. Golden rooms are aesthetically designed to please the senses as well as provide a higher quality of comfort and luxury. Golden Rooms can be booked for singles or families can go for a double bedroom. 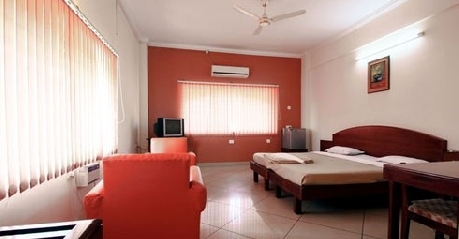 The room comes with Television, wide bathroom, telephone, room service and an air conditioner to keep you cool and comfortable throughout your stay. The comfort and luxury has been ramped up for platinum room. With wide and spacious space the room gives a ‘feel good’ vibe and encourages you to feel at home. 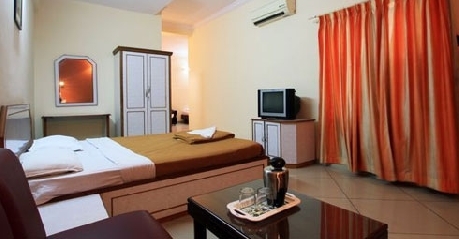 Platinum room has all the amenities to make your stay comfortable and comes with television, telephone, air conditioning, room service and a mini refrigerator. The ultimate in luxury and comfort. Executive rooms have their own living room where you can receive and entertain your guests. The executive room is furnished with cable television, Air conditioning, mini refrigerator and a twenty four hour room service that is on your beck and call. Hotel Woodside is a vegetarian’s delight. It offers a varied platter combining both regional and international vegetarian cuisines. 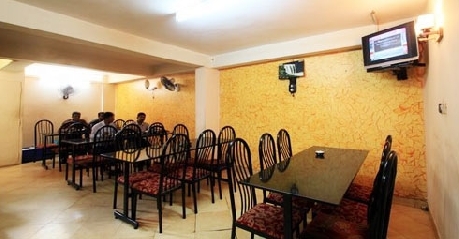 The guests can dine in the restaurant or choose to dine in the privacy of their rooms. The chefs prepare sumptuous food with proper cleanliness and hygiene by using the freshest of ingrideints.